JD Moling Services - Driveways/Patios/Paths, Plumber based in Canvey Island, Essex. 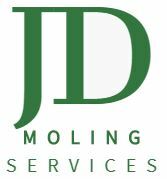 Hello and welcome to JD Moling Services. We are a small family run business that has over 15 years experience in all types of Groundworks and utilities work, including replacement and repairs of services. We also specialise in moling new supplies: i.e. Lead replacement and service upgrades and ducting. We also carry out the installation of - Drop Kerb's and driveways including -Tarmac -Block Paving - Slabbing and Concrete finishes . We are a recognised contractor with Essex Highway holding all relevant certifications and insurances.